The CosmoBike Show, the most important Italian cycling show, has as every year opened its doors to all cycle enthusiasts around the world. In Verona, from 16 to 19 September, around 50,000 visitors were at the search, not of Juliet’s House, but of the latest innovations and trends in the world of cycling. The Bimp’Air Team was present at this unmissable event, signing the start of its big 2016 Roadshow! 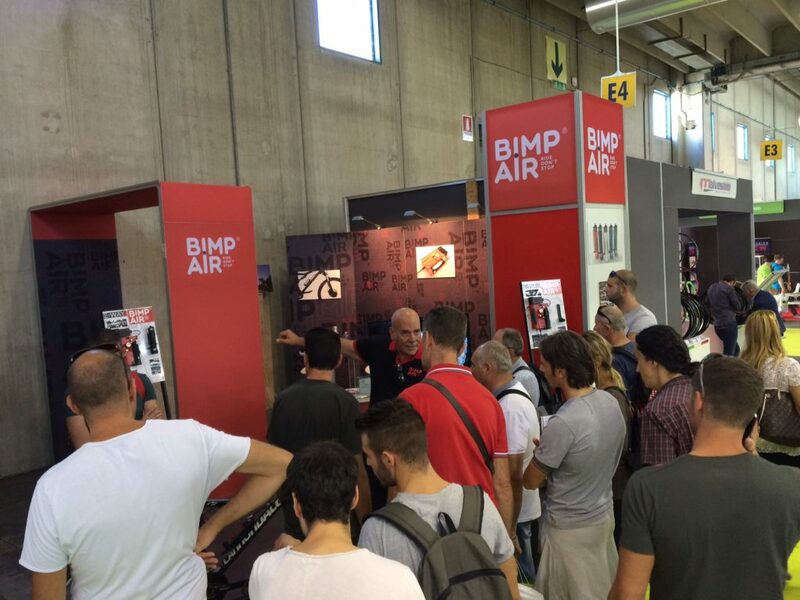 Marcello Aghilone, inventor of the Bimp’Air technology, introduced its innovative system at a curious and enthusiastic audience. If many of them had heard of Bimp’Air in various international articles and blogs, they crowded on the stand to finally see the small compressed air capsule at work. 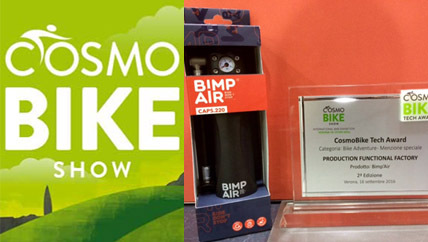 The show was held under the best auspices for Bimp’Air that won the ‘Special Mention’ at the CosmoBike Tech Awards in the ‘Bike Adventure’category. 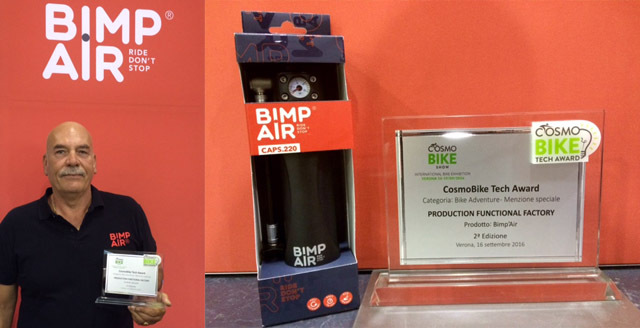 The CosmoBike Tech Awards are handed-out for the second consecutive year and reward innovative companies in the bicycle industry. Among 9 categories, the jury selects the most innovative products for the upcoming season. Are taken into account the process of design, ergonomics, aesthetics, innovation, materials… The jury also reserves the right to award a special mention to a product that stands out. A real achievement for the Bimp’Air Team and especially for the inventor of this revolutionary inflation system, which was granted this special mention by a jury of experts.